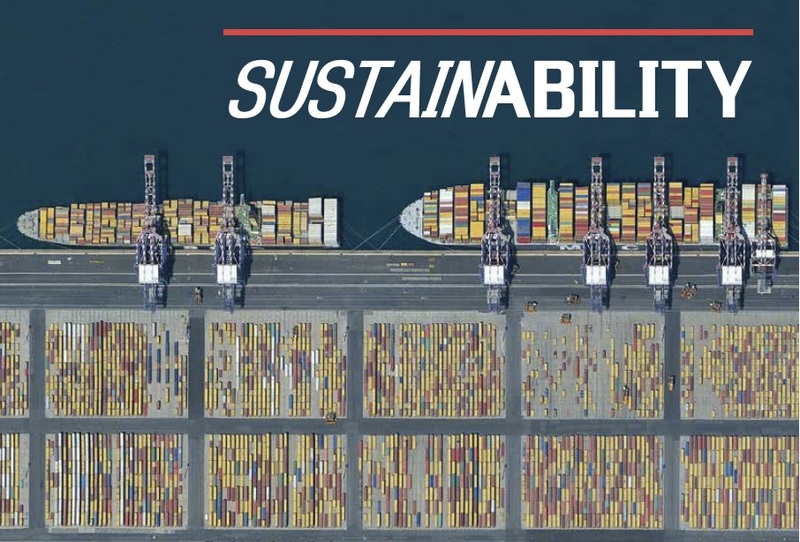 Sustainability is rapidly climbing to the top of business’ strategic agendas - for Contship Italia it is compulsory to monitor the impact that logistics and transport operations have on the environment, local communities and on people. The Group has been undertaking specific and measurable actions – best practices­ – both directly and through its subsidiaries, to monitor and reduce waste of energy and raw materials, to prevent accidents and pollution, and to develop more sustainable practices and processes in general. 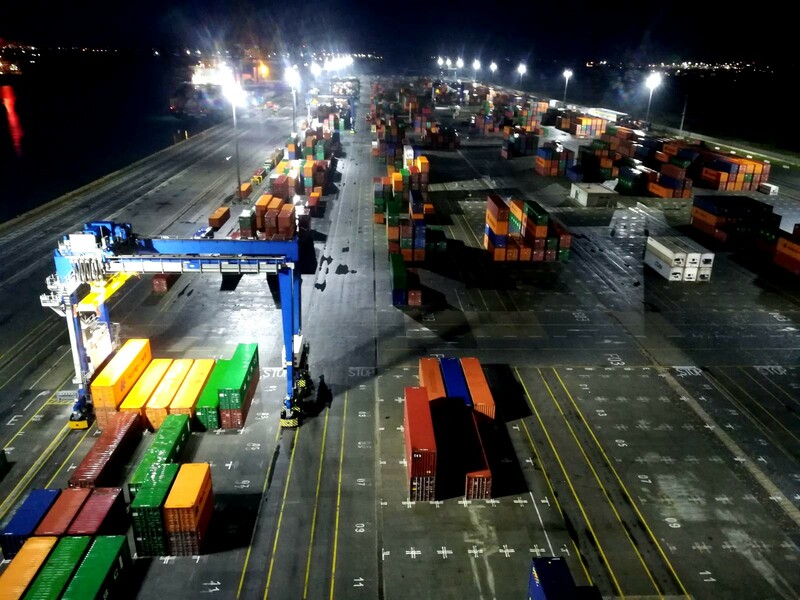 Contship Terminal in Cagliari was the first terminal in Italy with a complete LED illumination – the best practice actually started in 2015 and ended in 2017, an investment that cost over 1 million euro, allocated to replace all the terminal’s lighting units. New generation LED lights - other than requiring less energy to operate, generating less heat compared to traditional halogen lights - actually have longer lifetime and have lower maintenance cost. 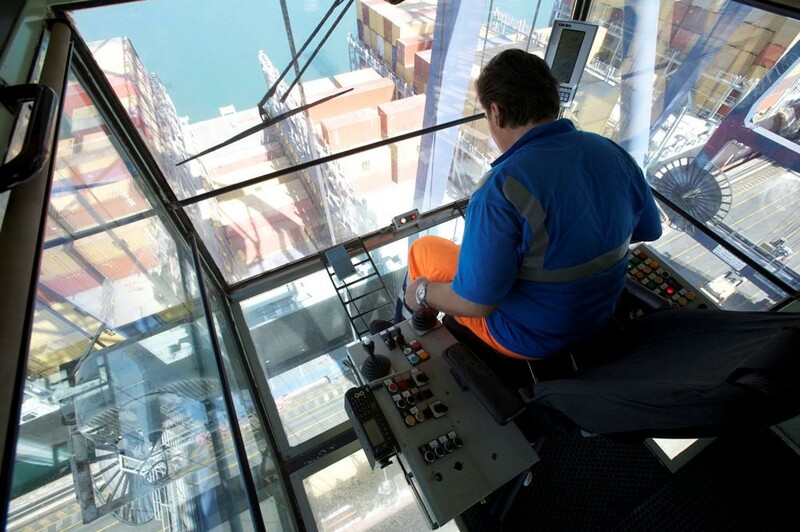 Not only the 22 floodlight towers that light the container storage and handling yard and Cagliari Canal Port quay were replaced - all the lights on the yard cranes (RTG) and quay cranes (QC), those in the workshop and the warehouse, and all the office lighting systems were exchanged too. Replacement of the lights immediately cut the terminal’s electricity consumption and the associated CO2 emissions by over 20% in one year – from 2016 to 2017. Even though energy consumption depends on volumes handled, this action should save 40–45% on the standard energy charges for lighting the yard and quay. Moving to Contship La Spezia Terminal; a major expansion plan is under way at the gateway port that will enable efficient and sustainable handling of growing volumes for day-to-day operations, while also adding an array of innovative high-energy-efficiency equipment to the quay. The internal network of rail tracks and sidings will also be implemented, to boost rail volumes to up to 50% of quay traffic. In 2014, the Terminal conducted a study with a Florence university spin-off company to assess the direct and indirect impact of the terminal’s activities – from impacts on air quality to sound pollution – in order to develop specific mitigation projects. To reduce air pollution, the terminal is pioneering the regular use of a biofixative, applied directly along the roads in the operating areas to reduce particulate matters and enable the decomposition of aromatic components in the air. Installing noise-absorbing barriers around the operating area perimeter. The Group Intermodal Hub, situated in Melzo, has now been following the path to sustainability for quite a while. 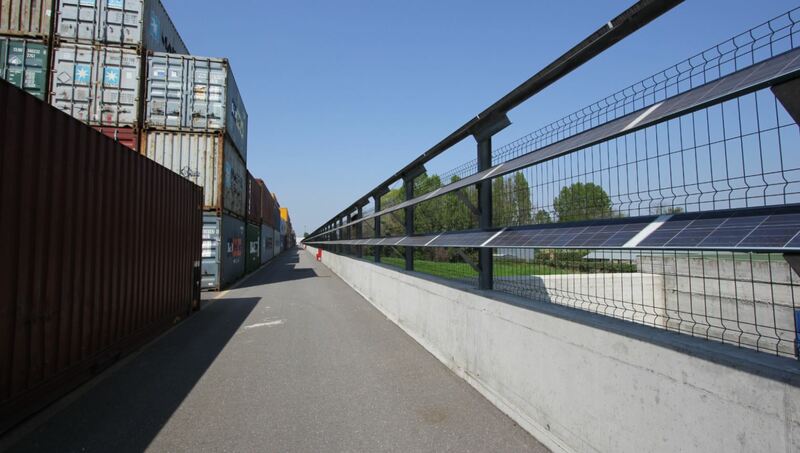 In 2013 a programme agreement was signed with the Lombardy region, Milan province, Parco Agricolo Sud Milano (a rural park south of Milan) and Melzo, Vignate and Liscate town councils, to carry out several actions in the areas surrounding the terminal. These measures are made to offset the expansion of the terminal; the yard was expanded, with and investment of over 30 million euros, to increase the operating area by 100,000 m2 (in addition to the 160,000 m2 already in use). More than 40,000 sq. metres of tall trees were planted, over 3 km of cycle ways and over 1,000 metres of solar panels have been realized. The solar panels generate over 2000kW of energy and have produced, to this days, over 203,300kW/h of energy. Regarding vehicles; more than half of Hannibal and Oceanogate wagons have low-impact brake shows for reduced noise and dust emissions, the Group’s 5715-and-growing trains travelled more than 1 million kilometres overall, saving a total of almost 13,000 tons of CO2. Sustainability however is not only measured through reduced emission and low environmental impacts; it is a matter that involves people too. Contship Terminal in Gioia Tauro started a best practice called “Refresher Training” – a prevention system that tackles accidents (affecting workplace safety), which started in the first half of 2012.The project was launched as a consequence of growing, cyclical, workplace incidents, that in 2012 grew completely out of kilter with the previous years. In details, the best practice of the mega-hub is an ad-hoc communication tool to solve workplace incidents. The tool can rapidly reach up to 700 shift-workers through bite-size training sessions that last approx. 15min each, either in a classroom or directly on yard. The sessions usually take place right after incidents occur, or on a regular basis in order to prevent them. Incidents have been reduced, this way, from 8 per year in 2013 to 1 per year in 2017. Contship Italia, as a group, has always been keen on “showing and telling” life and work within ports and intermodal hubs – and with the Porto Lab projects, the dream has almost come true. 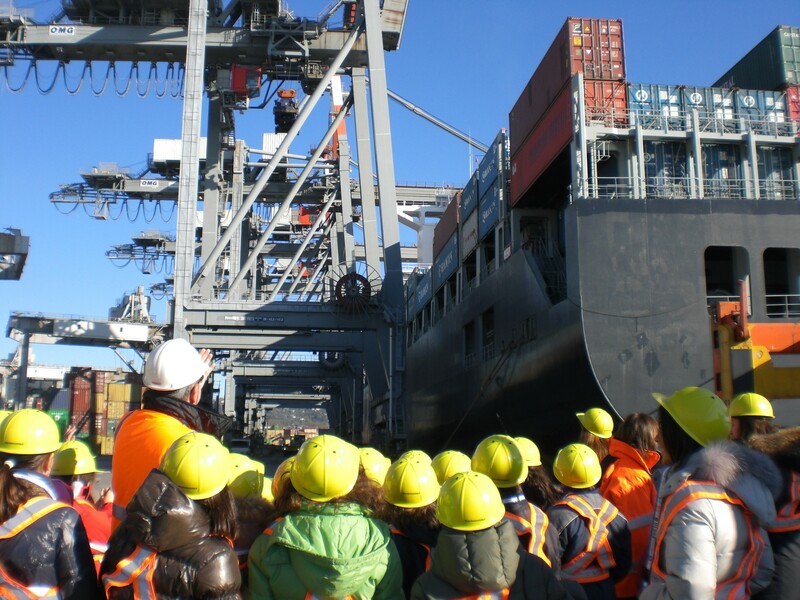 The project, which is considered a Group Best Practice, allows the opening of maritime terminals of La Spezia, Gioia Tauro, Ravenna, Cagliari and the intermodal hub of Melzo, to local schools every Tuesday and Wednesday. This way, Terminals become open-air laboratories where children can enjoy a unique guided experience, and port operations become a tool to learn. Every year, more than 2,000 students access the ports with a security helmet, personalized pass and fluorescent vest (the “Porto Lab Kit”), along with their Porto Lab tutors. As part of the project, every year the group creates the “Contship Diary” – currently at its 13th edition – that is distributed to kids in schools before the start of the year.